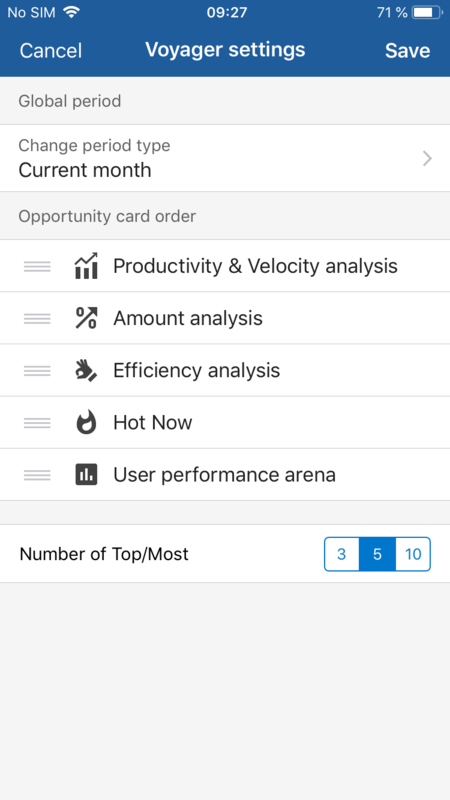 We are happy to announce the Pipeliner CRM Mobile App v1.4.0 of Pipeliner CRM. This release includes even more features from desktop version, many mobile related features and stability fixes. 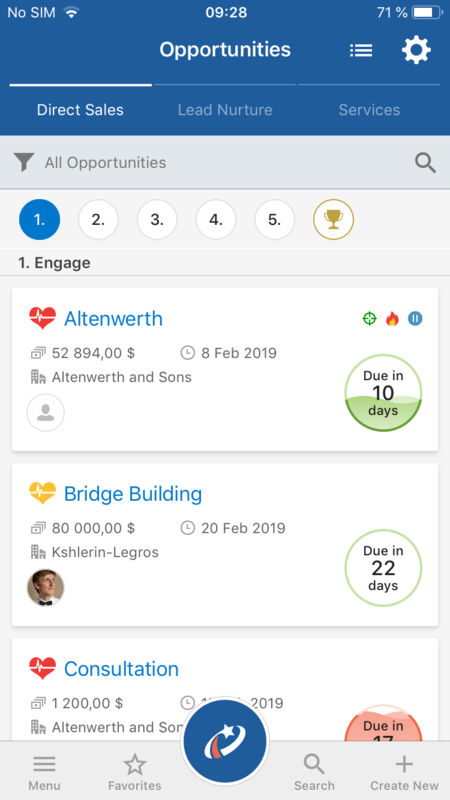 Pipeliner proudly introduces the very first Artificial Intelligence functionality for Mobile CRM – Pipeliner Voyager! 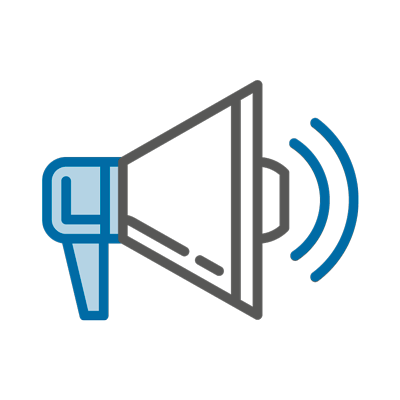 Pipeliner Voyager is empowering Sales with the very first AI that implements visualization into your Sales Process. Opportunities offers you four powerful views: Productivity, Velocity, Winning Percentage and Efficiency. Each of these metrics are color-coded so you can instantly see how each is performing, and rapidly take needed action. 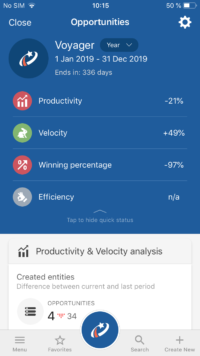 For Leads, Voyager AI guides you with three views: Productivity, Velocity and Efficiency. For Leads, the “quick status” allows you to view these three metrics all on one screen, color-coded for instant comprehension. The view for Accounts and Contacts is Winning Percentage, which compares a salesperson’s and sales team’s revenue from opportunities to the previous period. Voyager AI also introduces User Comparison Arena! 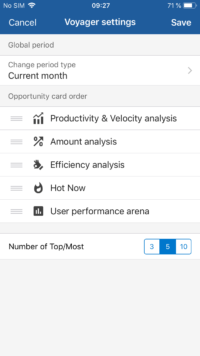 This unique feature allows you to monitor user performances and compare two individuals with one another, or against the top performers. It’s all there—brought to you by Voyager AI, utilizing Pipeliner’s instant dynamic visualization. 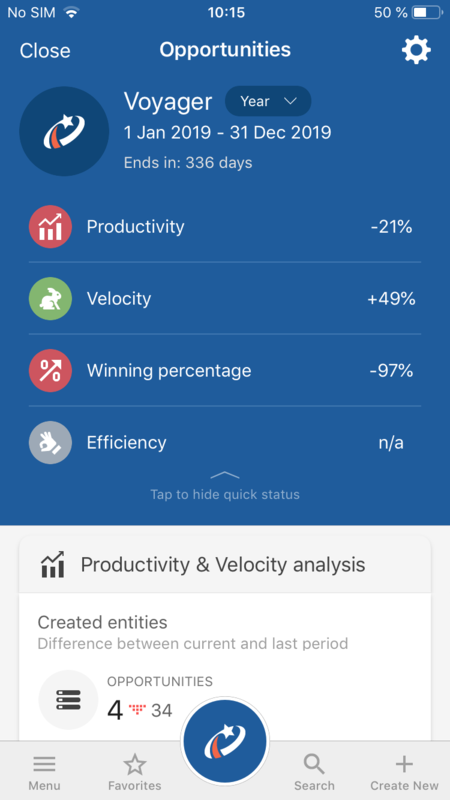 Try it now or learn more about Pipeliner Mobile CRM Voyager AI. Pipeliner Mobile now has Bottom Navigation! We’ve incorporated bottom navigation for our whole mobile app so you can access everything in just one click!